Ashland City, Tennessee-based State Water Heaters recently announced plans to launch an integrated marketing effort aimed at Spanish-speaking contractors in key U.S. markets. Campaign initiatives include new Hispanic-themed print advertisements, Web enhancements, and a television sponsorship, all designed to raise State brand awareness among Hispanic communities. A dedicated section on State’s Web site, www.statewaterheaters.com, provides an opportunity to view the new Spanish print advertisement and a link to the Web site of "De Casa a Hogar," a new home improvement show on Spanish language television. The new print advertisements will help engage Hispanic viewers by featuring Spanish messaging, and are expected to grow advertising recall and State brand visibility among this rapidly growing audience. The ads will also appear in English versions to attract English dominant Hispanics. State’s broadcast efforts include a Latino home show sponsorship with “De Casa a Hogar,” scheduled to air on a major Latino network in early fall. The show will provide viewers with home improvement segments, technology tips, and a peak into Hispanic celebrity homes. State’s sponsorship includes opportunity for product demonstration in addition to Web site, print, and broadcast sponsor recognition. 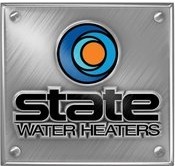 For more than 60 years, State Water Heaters has built dependable, long-lasting water heaters for commercial and residential applications. State remains focused on manufacturing durable products that last longer. For more information, visit www.statewaterheaters.com and www.stateracing.com.